– What is a Database? – What is SQL Server Management Studio? – In Which Context Does SQL Server Access Network Resources? – What are SQL Server Always On Availability Groups? – Can I Restore a Database from SQL Server 2005 SP4 to SQL Server 2005 SP3? – How Can I Check the Isolation Level for a Specific SQL Server Database? – What is Computer Programming? – What is Search Engine Optimization (SEO)? – What Does SERP Mean? – What is the Internet of Things? 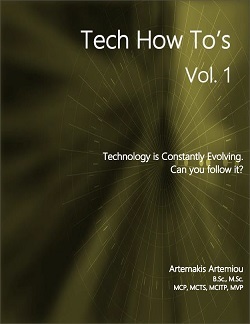 This book is for everyone who loves technology and wants to learn about different technology topics such as: Databases, Programming, Search Engine Optimization, Software and Database Security, Trending Technologies and more. This book is organized as follows. Chapter 1 discusses about Databases and mostly about SQL Server. Chapter 2 discusses about programming and provides some really cool how-to’s in order to get you started with some simple programming tasks. Chapter 3 talks about Search Engine Optimization (SEO) which nowadays is a very hot topic. Chapter 4 discusses about security and Chapter 5 about certain Windows-related tasks. Finally, Chapter 6 talks about trending technologies such as FinTech, Machine Learning, Internet of Things and Software Integration.